What is it about chocolate cake that makes men go weak in the knees? (Women as well… excuse the gender bias!). I am not the biggest chocolate fan… though my friends would beg to disagree. But I can honestly tell you, you can get away with murder if you offer someone a slice of chocolate cake. (OK, maybe not murder but a parking ticket for sure!). I won’t wax eloquent about the awesomeness of chocolate… some things are better experienced. This recipe is for the ‘easiest chocolate cake’ that you can whip up, to receive praise from one and all. Trust me, I have husband, siblings, friends and collegues who have fallen for its charm. My weapon of choice. Preheat oven to 180°C. Ensure all your ingredients are at room temperature. Grease a 9” tin with butter. Finely sieve flour, baking powder, soda and cocoa. Keep aside. Mix vanilla essence in the milk. Keep aside. Cream butter and sugar till light and fluffy in a big bowl. (Electric mixer on low then moving to high or use a whisk). Add room temperature eggs one at a time and beat for 30 seconds after each egg. Beat till everything comes together. Now slowly beat the sifted dry ingredients into the egg and butter mixture in three batches, adding the milk between each flour batch. Start and end with the flour. Scrape down the sides of the bowl as required, and ensure that the batter is evenly mixed. Do not over beat. Pour the batter into the greased tin and bake in a preheated oven at 180°C for 30 mins or till a toothpick inserted into the center comes out clean. (Please note that I use a convection oven, increase the time on a regular oven to 35 mins). Remove and allow to cool on a wire rack. Drizzle chocolate sauce and enjoy! Hi Swapna, do u place this rack in ur pic under ur glass dish to bake the cakes in the convection mode. My cakes always turn out great in the conventional oven but not too well when i bake them in my MW on convection mode. Wantd to find out if my procedure of baking is wrong ???#!/? Confused…. Go Jo!! 🙂 GLad it turned out well.. Next time try the choco banana cake, I promise you wont regret it! 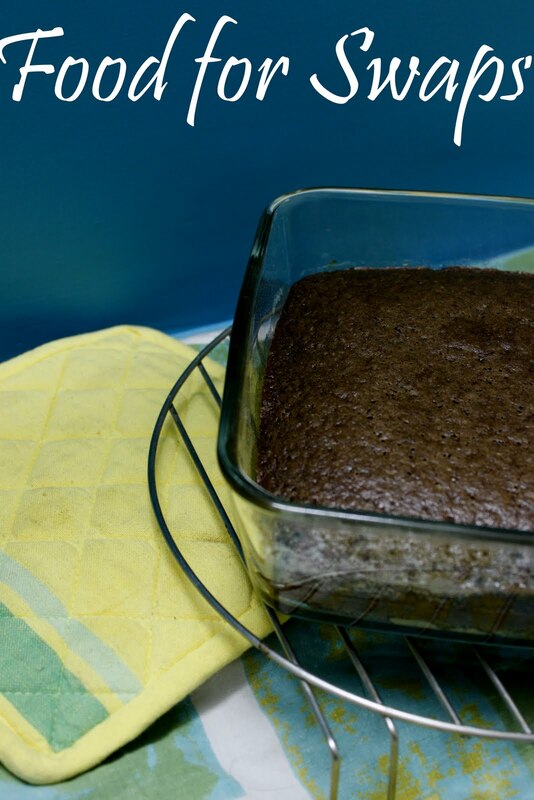 Tried this recipe this morning and topped it with the chocolate ganache from another recipe for chocolate banana cake in your blog. Was super awesome:) Thanks to you am a happy trooper this morning! Hey Preethi, yes I use a standard cup measure. Mine is caliberated in ml and can hold 250ml of liquid. The chocolate cake recipe sounds great. I just needed a clarification. Does one cup refer to the regular measuring cup that you get in the market? Hi Swapna, donno if u remember me, was a yr junior in school :). Came across ur blog by chance n it's awesum girl!! 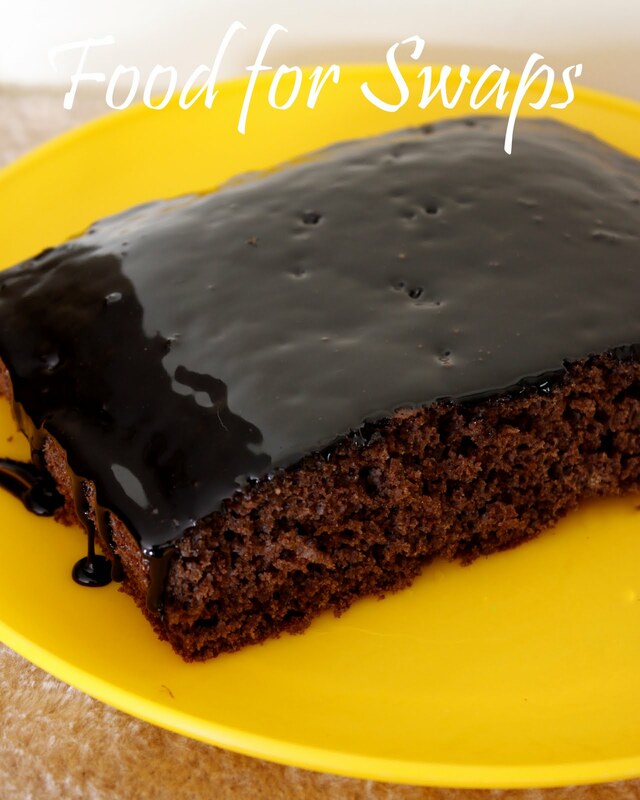 🙂 Will def try out the choco cake for sure..the pics r mouth watering :)…Do check out my blog too – superzfood@blogspot.com.